If you work in the IT world, you’ve probably seen projects that have come off the rails and require a major course correction to get back on track. In this blog post, I will highlight the warning signs of a failing project from a recent client, along with the process we follow to get critical initiatives back on track. After two years only one major module had been delivered and the updated project timeline was three times longer than the original schedule. The alarming and unexpected extension of the timeline was the motivation our client needed to contact Edgewater for help. In this case, the findings clearly indicated a project at a high risk of failure. Our client is extremely happy with the productivity improvements, and the users are excited to work on this project. There’s still a long way to go, but the project rescue has been a success. To learn more, watch our video then contact kparks@edgewater.com. With Internet Explorer 11 being pushed out as part of the Windows Updates, consideration needs to be provided on the compatibility of the CRM 2011 with IE11. Use the IE Developer Tools to set the browser mode to IE10. Use Chrome or Firefox. 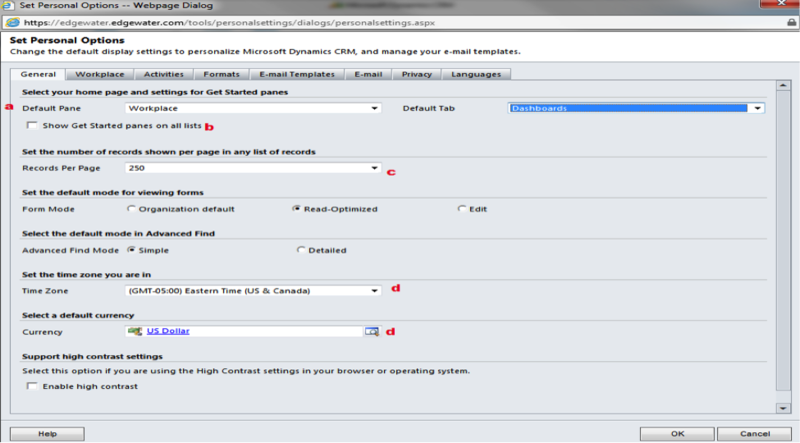 This options require the CRM 2011 environment be upgraded to UR12 or above. Upgrading to UR12 or above requires validating that custom functionality works correctly in Internet Explorer, Google Chrome, or Mozilla Firefox. In today’s world of social media, successful sales and marketing in manufacturing is a complex balancing act requiring more and more visibility to actual data. Real-time visibility to dealers, agents, and customers involved in your business has never been more important for maintaining successful pipelines and customer loyalty. If you don’t have a bi-directional communication portal to every channel of your business, you’re missing the critical information you need to stay ahead of your competition. You may not have a sales portal to your business, but your competition does and they are listening. They are listening to your prospects, your reps, and your customers. The good news is many manufacturers who have become lean on the production floor are learning that applying similar principles in sales and marketing can also lead to increased production. These manufacturers know nothing is more important to their sales than an accurate visual of what is happening in their channel right now. A sales portal can also bridge the gap to your back-end systems and create a seamless communication protocol that empowers everyone in the channel, employees and non-employees, while providing accurate real-time visibility in a secure manner that can help accelerate the sales process. View the Edgewater Channel Portal in action. What can you monitor with a sales portal? With a portal you empower your sales force with the tools needed to succeed. Each user has a different security level and sees a custom dashboard. For example, a manufacturer’s rep can see how his or her overall pipeline is performing. The rep can see new leads, can adjust those leads and can notify you of constraints. As the manufacturer you can see the rep’s pipeline incorporated into yours, and you can help move sales along by knowing precisely where the rep is in the pipeline. 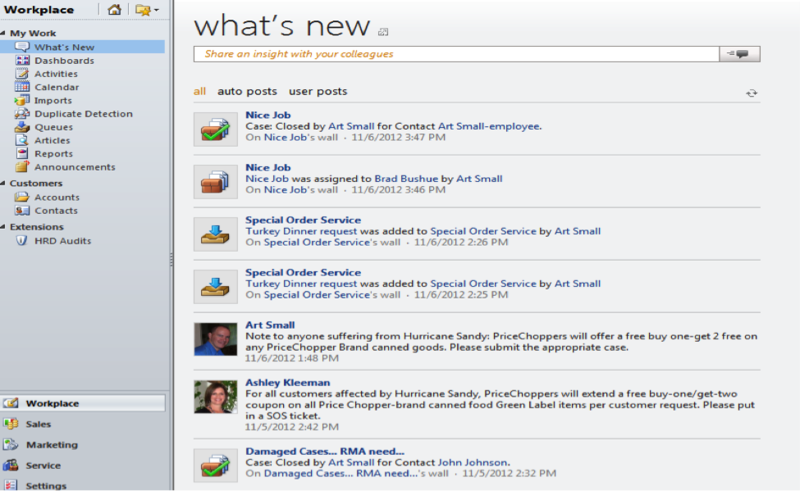 You can also send discounts to your field reps immediately and see how those discounts perform real time. With a sales portal you can allow all of your reps to have access to a common document library and collaborate via discussion groups where you can include future products, sales literature, competitive information and more. To see what is happening right now means opening a sales portal, which is as easy as opening a dock door in the warehouse – once you build it. How did you find Nemo? 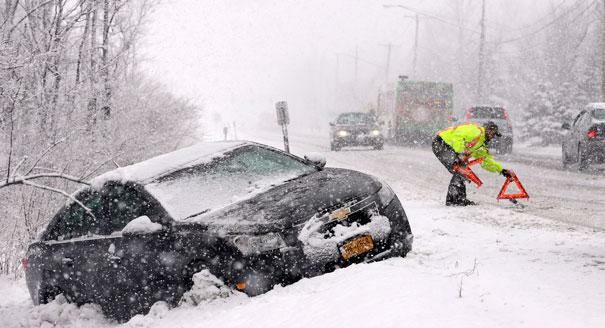 The blizzard of ’13 hit the northeast pretty hard this past week. Communities still reeling from Sandy now have to deal with feet of snow too. Power outages and downed communication lines make it extremely difficult for people to contact utility providers to report problems, as well as to receive information regarding service restoration. Many providers are turning to social networks and to text messaging to help them get the word out and to keep their customers informed. Others are leveraging mobile apps to assist customers, allowing them to report problems and follow repair progress. Some utility companies are doing both. Utility companies have to provide service 24/7; but, while insurance carriers will accept claim reports outside the regular work week, their work really begins on Monday. Like the utility companies, many insurance organizations, carriers and agents, communicate via their social network accounts and some communicate with mobile apps. Customers may have already reported the tree limbs falling on their cars, collisions from sliding on the roads, or restaurant food spoilage when refrigeration goes out, and now they need to know when they will hear from the claims representative or damage appraiser to move things along as quickly as possible. If the power and phone lines are still out, your smartphone becomes your only window to the world. This is where the carriers that have embraced and leveraged smartphone technology shine, and those that are still dependent solely upon on web sites and telephone communication fall behind, and lose customers. Thousands of customers could be trying to contact you via your phone lines, and find the never ending phone tree wildly frustrating. When that becomes exasperating, maybe there’s a mobile app to download, but all you can do with that is pay your premium. Next, look at Facebook for updates, but that’s just a Hall of Fame for charitable acts and follower counts, nothing on the company’s efforts to reach out to customers about the storm. How about Twitter? Maybe the company is broadcasting where mobile claim centers are being set up, tips on how to minimize damage, or special phone numbers that have been arranged? What about the agent? They may be without power and communication as well, but they may still be able to provide support taking reports and providing information for claims – if they can get it. This is the time when the rubber meets the road for insurance, and if you can’t keep in touch with your customers and help them when they need it most, they’ll solve the problem for you – they’ll find out about the companies that do, and they won’t be your customers for much longer. Now is a good time to rethink and update strategy for carriers who aren’t where they should be. Organizing your personal preferences in CRM is a great way to start your day, review your upcoming events, and utilize the features of Microsoft Dynamics CRM® 2011. Below are a few easy ways to stay organized in 2013! In your CRM options menu, update the below fields on the “General” tab. One of the best ways to put everything you need in one spot in CRM is on a personal dashboard that you can set on your home screen and see all your major needs. As described in this blog, you can set a home screen that CRM will start on every time you open it and you can set a default page for every entity. 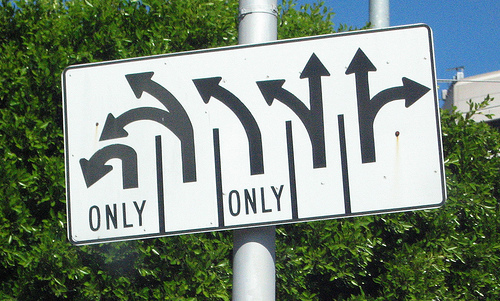 But what if you want to see more than one CRM aspect right away? 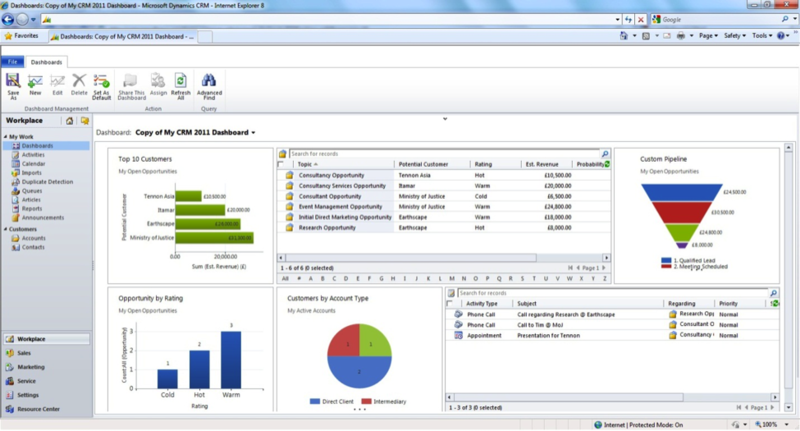 Setting up a personal dashboard will allow you to choose up to 6 different views on one screen. Not only will you be able to put in the views such as your daily activities for the day, you can also put charts within the dashboard to measure any kind of progress to suit your needs! “What’s New” is an exciting new feature of Dynamics CRM 2011 which allows users to follow their fellow colleagues, certain accounts, etc. for up-to-the-minute activity. It is similar to an internal social media page. Below is an example of the items users can follow. The “Activity Feeds” comes in a solution which is free to download, just make sure you have rollup five installed for it to function. As you can see, there are plenty of ways to keep organized in CRM. All it takes if a few clicks and turns and you can determine what works best for you! To learn more about the Edgewater CRM practice, click here. Part one of this topic addressed leveraging social media to improve customer satisfaction. This is the initial step towards a broader goal to create a robust Customer Intelligence framework that allows P/C insurers to listen, connect, analyze, respond and market to customers in a much more proactive and targeted way. Customer Intelligence is the process of collecting relevant and timely information about customers and prospects, consolidating the data from all the different sources into a cohesive structure, and providing the sales, service and marketing functions with tools that can leverage this intelligence. The sources of this data not only include the obvious ones such as a carrier’s Customer Service Center, and Policy or Claims Admin system, but should also originate from the Agent, Marketing Surveys, Telematics, and Social Media, including Twitter and Facebook – all mashed up to produce a Balanced Scorecard and Predictive Analytics. Most CRM systems need to be updated to include new columns in their user profile for data in addition to email and phone number such as Facebook name, Twitter Handle, etc. With the social listening and response management connected to your CRM, a social inquiry can be viewed in context and the activity recorded for future interactions, available to Customer Service Reps or even Agency personnel. This level of social customer intelligence is going to differentiate companies that do it right, becoming a key element of a carrier’s business strategy. A carrier should determine the Key Performance Indicators (KPIs) that matter most to their business goals, then view the appropriate data in graphical dashboards to track effectiveness of their efforts. 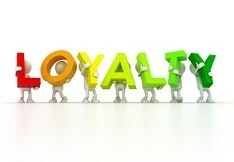 It’s important to tie those KPIs to their influence on customer behaviors such as loyalty and increased sales. But carriers must also be aware to not look at positive or negative changes in the wrong way and fully understand the reasons for success or failure. Reacting to success by following up with more online advertising in certain media outlets, may not produce the desired results, when in fact the reason for an increase in sales is due to the upsell and cross sell efforts of CSRs. Right from Jonathan Bush, the co- founder and CEO of athenahealth [the keynote speaker]: “Make Hospitals Focus on What They’re Good At – Everything Else, “Seek Help!” I can help define “everything else”. For now, I will keep it generally confined to the world of healthcare data – because I would argue more time, money, and effort is wasted on getting good data than almost any other activity in a hospital. If you are a Chief Quality Officer, or Chief Medical Informatics Officer, or Chief Information Officer – what would you rather spend your budget on? Your analysts collecting data – plugging away, constantly, all-day into a spreadsheet? Outcomes: Stale data in a static spreadsheet…that probably needs to be double/triple-checked…that probably is different than what the other department/analyst from down the hall gave you…that you probably wouldn’t bet your house on is accurate. Or your analysts analyzing data and catalyzing improvement with front line leaders? Outcomes: Real time data in a dynamic, flexible multi-dimensional reporting environment…that can roll up to the enterprise level…and drill down to the hospital → unit → provider → patient level. Here’s a hint – this isn’t a trick question. Yet, for some reason, as you read this, you’re still spending more money on analysts reporting stale, static, inaccurate data than you are on analysts armed with real time data to improve the likelihood of higher quality and patient satisfaction scores and improved operational efficiency. The majority of the speakers at this year’s HFMA Revenue Cycle conference seemed to accept that providers are NOT good at collecting and analyzing data, or using it as an asset to their advantage. They also seemed to align well with other speakers I’ve heard recently at HIT conferences. If you’re like 99% of your colleagues in this industry, you probably don’t understand your data either. So do what Jonathan Bush said and GET HELP! Customer satisfaction for Property and Casualty (P/C) insurers has been on the slide over the past few years for many reasons, but most notably due to increased premiums driven by natural catastrophes. Carriers can work to offset these premium increases by improving upon the intangible values policyholders receive, such as customer satisfaction. Improving customer satisfaction can be supported by improving upon Customer Intelligence. Customer Intelligence is the process of collecting relevant and timely information about customers and prospects, consolidating the data from all the different sources into a cohesive structure and providing the sales, service and marketing with tools that can leverage this intelligence. Insurers must begin to look at ways to respond to customer needs outside the old fashioned methods of phone and email, and embrace the social media outlets. Most carriers look at social media as a marketing tool but used well, it is much more of a relationship, loyalty and service tool. Many carriers already have a Facebook page and Twitter account to disseminate information and respond to complaints posted directly to them, but the most damaging words are those posted where the carrier does not respond because they do not even know they exist. Integrating with social monitoring tools can help carriers avoid these situations, creating a competitive advantage. Carriers need to be able to serve their customers in the channels they wish to be served in, and helping customer service representatives to address issues early, before they become a costly live call or a crisis, can decrease CSR expenses. The first step to monitoring social media is actively listening, using tools that provide real time alerts on relevant mentions, questions and discussion topics that should be responded to, then route them to the appropriate responder. Imagine how impressed a customer will be, when they are contacted in response to a tweet that was posted after a bad claims experience. Carriers can capitalize on opportunities to turn negative feedback into positive, if they take advantage of the chance to make things right with the customer. In addition to providing this service level response involving their own interests, carriers can extend this service to assist their top tier agencies as well, and educate them on the proper way to interact online. While policyholders may jump carriers, they are generally loyal to their agency, and if carriers can help protect their agencies, they may find more, and better, risks on their books from those agencies. Conversely, it can also provide an opportunity for carriers to rethink some of the agencies they work with, if they consistently find negative feedback about them related to their support of their policyholders. With carriers and agents working together, marketing executives can provide management with overall reports on social media sentiment, issues and the activity metrics for agents and their customer service organization. This is the initial step of a broader goal to create a robust Customer Intelligence framework that allows P/C insurers to listen, connect, analyze, respond and market to customers in a much more proactive and targeted way, leveraging the new communication channels Social Media provides. The next step becomes tracking this information within the carrier’s CRM and linking with customers’ Twitter names or Facebook accounts, to help CSR agents get a complete picture of the customer. CRM projects are expected to be near the top of the list for many carriers in 2013 that look to get out ahead on this front and gain a better of understanding of their current customers, and the customers they are going after. First things first, I believe the push for accountable care is here to stay. I do not think that it is a fad that will come and go as many other attempts at healthcare reform have. Having said that, I also strongly believe that very few organizations are positioned to start realizing the benefits that will come from this reform any time soon. It’s not for lack of trying, as many organizations are already recognized as Pioneer ACO’s. But the hard part is not being established as an ACO – it’s proving you’re reducing costs and improving quality for targeted patient populations. With ACO’s come reporting requirements. We in healthcare are used to reporting requirements. And those of us willing to publicly acknowledge it, more reporting means more waste. Why? Because there is job security in paying people to run around and find data…and to eventually do very little with it other than plug it in a spreadsheet, post it to a SharePoint site, email it to someone else, or well, you get my drift. Regardless of your view on these new requirements, they’re here to stay. So the $64,000 question is, are you ready to start reporting? Can you define and identify your targeted patient populations? Are you able to measure the financial and quality performance and risks of these patient panels and populations? Can you quickly, easily and consistently report quality and financial measures by Physician, Location, Service, or Diagnosis? Can you baseline your expenditures and costsassociated with various targeted patient populations? How will you benchmark your “before ACO” and “after ACO” costs? Can you accurately monitor the participation, performance and accountability of the ACO participants involved in coordinated, collaborative patient care? Will you be able to pinpoint where and when the quality of care begins to drift, so as to quickly intervene with care redesign improvements to limit the impacts on patients and non-reimbursable costs? Is a particular provider/provider group sending patients outside of the ACO? If so, is it for a justified reason? Does the hospital need to address a capacity issue? Can you reconcile your internal costs of care with bundled reimbursements from payers? Are you positioned for population health management and achieving the Triple Aim on a continuing basis? The ACO quality measures require data from a number of different data sources. Be honest with me and yourselves, how confident are you that your organization is ready? Is your data integrated? Do you have consistent definitions for Providers, Patients, Diagnosis, Procedure, and Service? If you do, great you don’t have much company. If you don’t, rest assured there are organizations that have been doing data integration for nearly two decades that can help you answer the questions above as well as many more related to this new thing they call Accountable Care. As I strolled around the Hyatt Regency at the Arch in downtown St. Louis amongst many of my colleagues in surgery and hospital administration, I realized I was experiencing déjà vu. Not the kind where you know you’ve been somewhere before. The kind where you know you’ve said the same thing before. Except, it wasn’t déjà vu. I really was having many of the same conversations I had a year ago at the same conference, except this time there was a bit more urgency in the voices of the attendees. It’s discouraging to hear that most large hospitals STILL can’t tell you what surgeries make or lose money! What surgeons have high utilization linked to high quality? What the impact of SSI’s are on ALOS? Why there are eight orthopedic surgeons, nine different implant vendors and 10 different total hip implant options on the shelves? It’s encouraging, though, to hear people FINALLY admit that their current information systems DO NOT provide the integrated data they need to analyze these problems and address them with consistency, confidence, and in real time. Let’s start with the discouraging part. When asked if their current reporting and analytic needs were being met I got a lot of the same uninformed, disconnected responses, “yeah we have a decision support department”; “yeah we have Epic so we’re using Clarity”; “oh we just <insert limited, niche data reporting tool here>”. I don’t get too upset because I understand in the world of surgery, there are very few organizations that have truly integrated data. Therefore, they don’t know what they don’t know. They’ve never seen materials, reimbursement, billing, staffing, quality, and operational data all in one place. They’ve never been given consistent answers to their data questions. Let’s be honest, though – the priorities are utilization, turnover, and volume. Very little time is left to consider the opportunities to drastically lower costs, improve quality, and increase growth by integrating data. It’s just not in their vernacular. I’m confident, though, that these same people are currently, more than ever, being tasked with finding ways to lower costs and improve quality – not just because of healthcare reform, but because of tightening budgets, stringent payers, stressed staff, and more demanding patients. Sooner or later they’ll start asking for the data needed to make these decisions – and when they don’t get the answers they want, the light will quickly flip on. Now for the encouraging part – some people have already started asking for the data. These folks can finally admit they don’t have the information systems needed to bring operational, financial, clinical and quality data together. They have siloed systems – they know it, I know it, and they’re starting to learn that there isn’t some panacea off-the-shelf product that they can buy that will give this to them. They know that they spend way too much time and money on people who simply run around collecting data and doing very little in the way of analyzing or acting on it. So – what now?! For most of the attendees, it’s back to the same ol’ manual reporting, paper chasing, data crunching, spreadsheet hell. Stale data, static reports, yawn, boring, seen this movie a thousand times. For others, they’re just starting to crack the door open on the possibility of getting help with their disconnected data. And for a very few, they’re out ahead of everyone else because they already are building integrated data solutions that provide significant ROI’s. For these folks, gone are the days of asking for static, snapshot-in-time reports – they have a self-service approach to data consumption in real time and are “data driven” in all facets of their organization. These are the providers that have everyone from the CEO down screaming, “SHOW ME THE DATA!”; and are the ones I want to partner with in the journey to lower cost, higher quality healthcare. I just hope the others find a way to catch up, and soon!